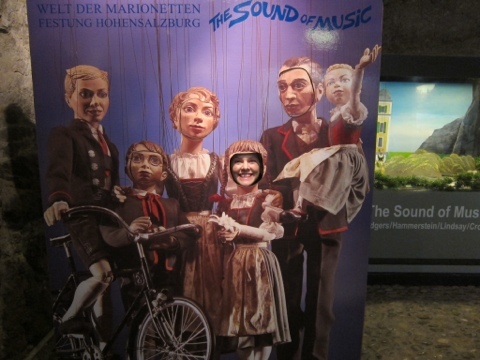 What trip to Salzburg is complete without a Sound of Music tour? Actually, many trips since English speakers are the only ones who give a flying buttress about the movie. When I was small, my older sister loved this movie. We watched it on a near weekly basis at one time. When I told her I would be going to Salzburg, she gushed like a Justin Bieber fan at his Madison Square Garden show. She asked for something cheesy and Sound of Music related as a souvenir. 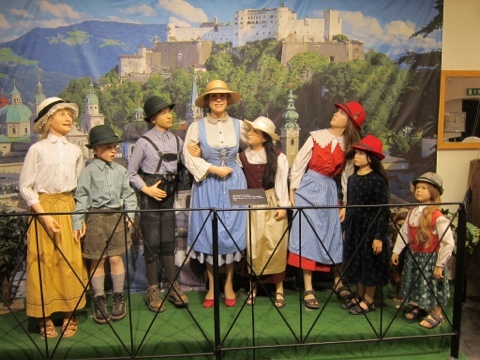 Sadly, as the English speaking tourists are the only ones who care about Maria and the Von Trapps, there’s not actually that much SoM kitsch to be found. Don’t worry, Al, I found something actually useful for your day to day life. There are, however, many SoM tours. We chose the biking tour because Jenny is athletic and I really wanted to see the gazebo and none of the other tours go there. So, Allyn, this one’s for you. We met the tour guide and the pack of mostly American tourists at 9:30 AM. It was a good, enthusiastic, and respectful bunch with one glaring exception. Here is my enemy. The dreaded woman in the white hat. Totally oblivious to everyone around her. Ran me off the road without realizing it. Kept trying to pass people even though we were riding single file. Taking pictures while riding her bike even though she didn’t seem to have great balance. She is to be despised and avoided. You are warned. But she was a small annoyance in an otherwise great ride. 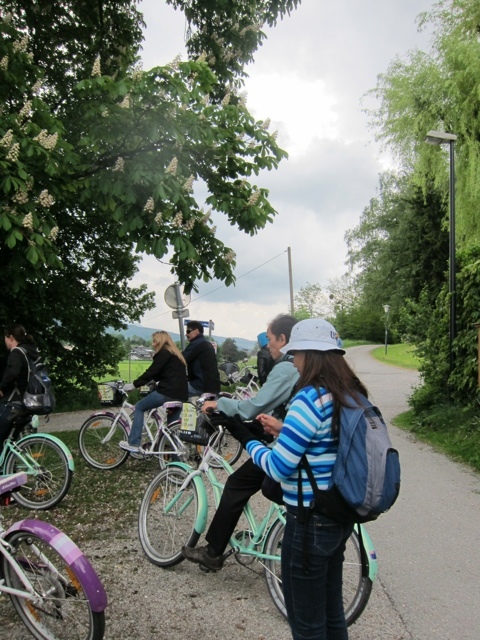 Even if you are not a SoM fan, this is a great tour because it does take you into the Salzburg countryside, which is harder to access without a tour. The theater where they sing Edelweiss and escape from the Nazis. Fun fact: the cast was only in Salzburg for 2 weeks and filmed all the location shots at once. Everything else was done on Hollywood lots. 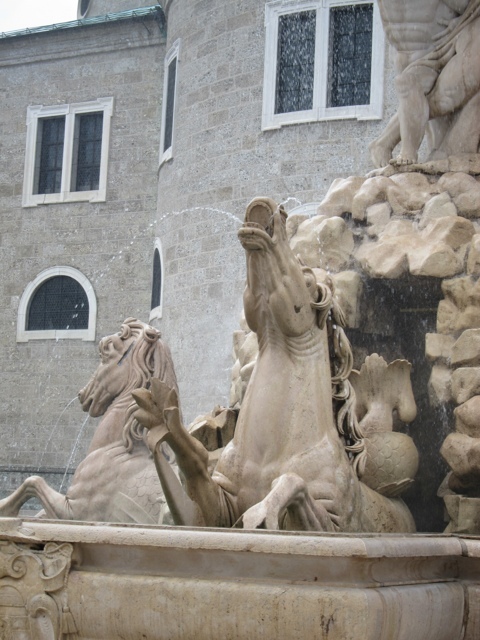 The fountain where Maria sings about having confidence and splashes herself. In person, it’s much more obvious how far out of her way she had to go to splash herself. You get the sense she was kind of off her chain. 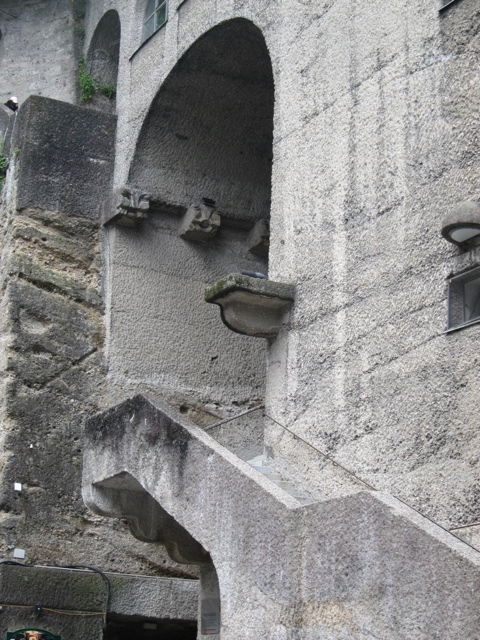 The abbey where Maria was a problem to be solved and the Von Trapps hid on their way out of town. Another fun fact: that iconic scene at the beginning in which the hills are alive makes it look like Maria is in the hills dancing, hears the bells, and is home in 5 minutes. But the hills are not close by, as you can see below. She would at least need a train. I call this photo, “Please, Rolfe.” Jenny had to be coerced. She told me I couldn’t put it on Facebook. She said nothing about this blog. 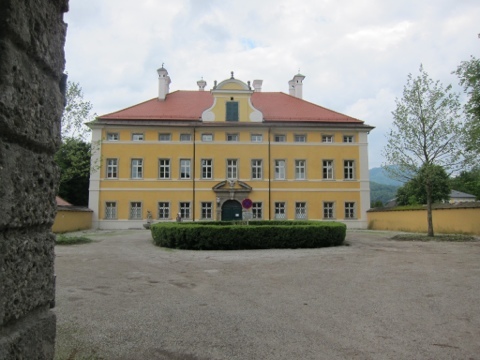 This is part 1 of Captain Von Trapp’s house. They used 2 buildings for the house on film. This is the back where the kids crawl out of the boats dripping wet and the Baroness acts snooty. Harvard now owns it because OF COURSE they do. Evidently you can stay there like its a hotel in the summer. Here is the front of the house, or part 2, and it’s now a college dorm. This is also where the tour guide convinced me to attempt frolicking in the fields a la Maria. Jenny says we look more like figure skaters. I think I look like I’m psyching myself up to do a cartwheel. 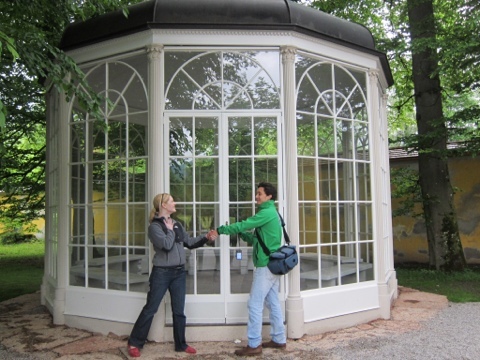 And this is the gazebo! It was originally at House #1 but had to be moved because of tourists sneaking on to the property to take pictures and sing. It’s now in a public garden and there’s a line to take a picture. Jenny declined to humor me on this one, but the guide was eager to play Rolfe to my Leisel. We had a fun tour moment when some girls on the tour started to sing the end of “Sixteen Going on Seventeen” while we posed. Fun fact: you can’t go in the gazebo because an older woman was dancing on the benches singing “Sixteen Going on Sixty Three,” and she fell and broke her hip. She sued the city because it is obviously their fault that she was being dumb. And now it is ruined for everyone. Thanks a lot, litigious tourist. The tour ended at the Mirabelle Gardens, which we already visited and staged a photo shoot. This concluded the SoM tour. 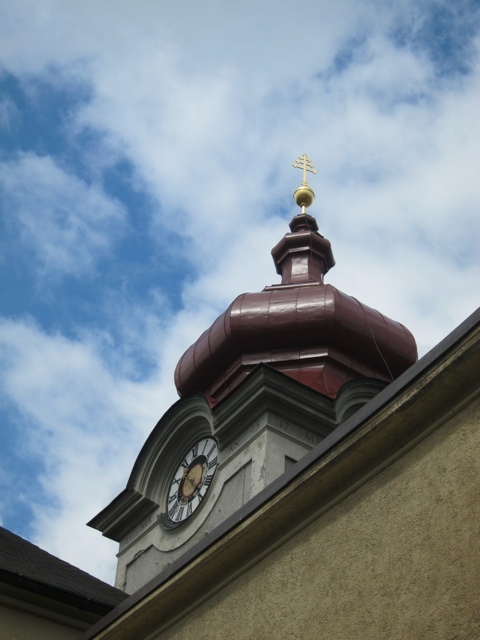 It also included several more stops relevant to Slazburg history, but who cares about that? All I need to know is that singing well can get you out of most big scrapes. 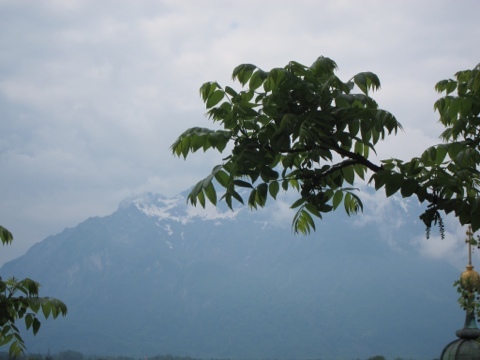 Posted on May 15, 2012, in Travel and tagged Austria, Salzburg, Sound of Music. Bookmark the permalink. 4 Comments. Loved the writeup – thanks for humoring me. I’m going to go on believing that the entire film took place in salzburg (not Hollywood) and that the hills are within jogging distance of the abbey (the train doesn’t do it for me). Bummer about the old lady and the gazebo. She should have known she wasn’t 16 anymore.